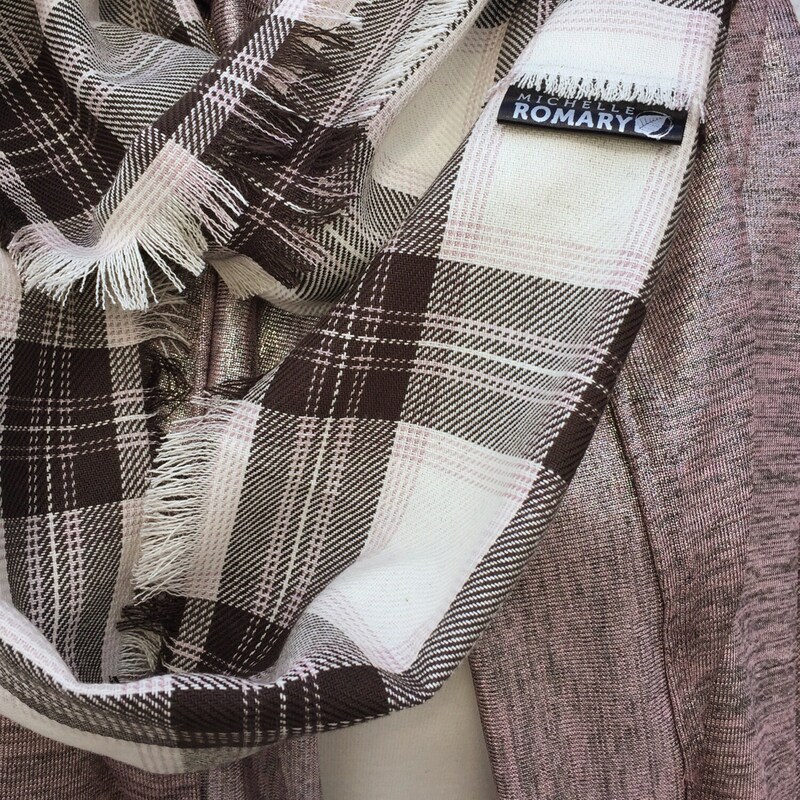 This beautiful, unisex, mid-weight, plaid, featuring a gorgeous combination of dark chocolate, ivory, and rose colors with hand frayed edges, will be a great addition to your cooler weather wardrobe. 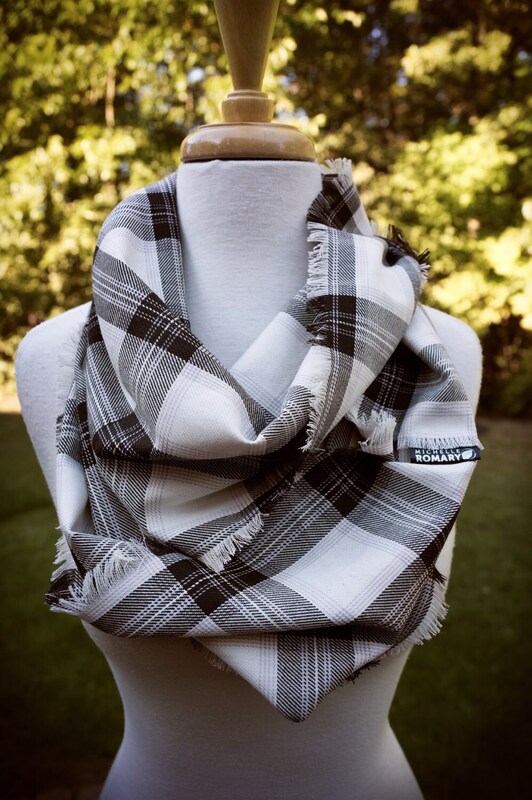 This loop of sophisticated fabric looks fabulous as a casual addition to your outfit, or an accessory to your favorite coat or jean jacket. It is looped twice in the photos shown here on a women's size 6-8 dress form. Approximately 65" in circumference. Approximately 13" wide. 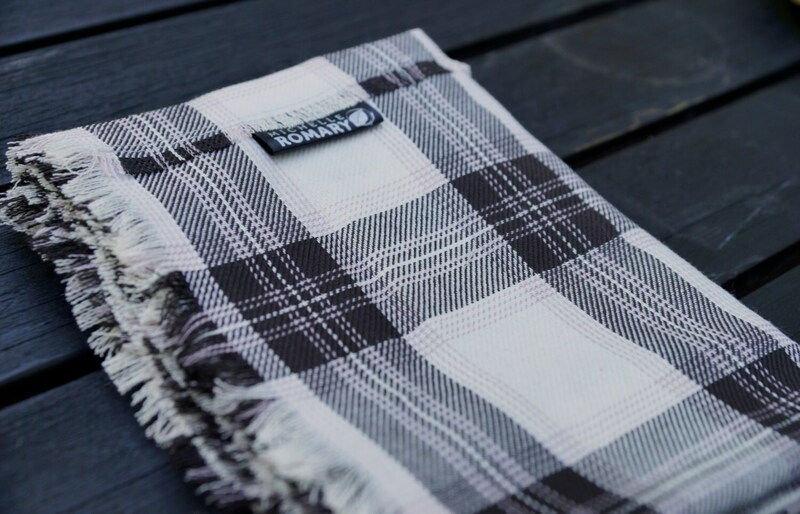 *If you choose the finish option of the serged, hidden, inside seam the scarf will be ~6.5" wide. In addition, I am a Cleveland based singer and songwriter, if you like indie pop-rock music please check out my EPs, you can download them digitally or purchase the album here on ETSY or anywhere music is sold and/or streamed online. To learn more about my music visit my website at michelleromary.com.